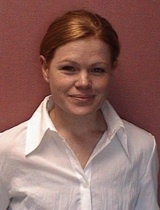 Karen Bredenkamp is a chief engineer with ERGOnomics TECHnologies (ERGOTECH) within the Armaments Corporation of South Africa (ARMSCOR). ERGOTECH provides a one-stop ergonomics research and test & evaluation service to the South African military. ERGOTECH is furthermore the custodian of the South African National Defence Force (SANDF) anthropometric database. This database is among the largest active anthropometric databases in the world, is updated yearly and consists of traditional as well as three dimensional anthropometric data. Karen holds a mechanical engineering degree with Stellenbosch University and a master degree in biomedical engineering with the University of Cape Town. Karen’s main focus areas are anthropometry, biomechanics, ergonomics of personal equipment and occupant environments and environmental stressors including noise and vibration. Author of several books and over 50 refereed journal articles. Dr Makiko Kouchi (D.Sci) is a senior researcher at the Digital Human Research Center, National Institute of Advanced Industrial Science and Technology, Japan. She studied physical anthropology and received master‚ Sci. degree and doctor‚ Sci. degree from the University Tokyo. Her research interests include variations in human body due to growth, secular change, and movement, as well as modeling and analysis of 3D human body shape. She received awards including Promotion prize of Anthropological Science for a Significant Paper (1992), AIST Director-General's Award (2000), and Basic Research Award in International Society of Biomechanics, 5th Footwear Symposium (2001). She is also related to 1D and 3D anthropometric researches in Japan including the quantification of measurement errors and validation protocol of 3D scanners. 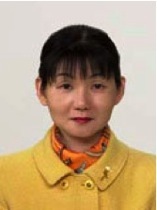 She is an active member of Anthropological Society of Nippon, and a member of ISO/TC159/SC3/WG1. 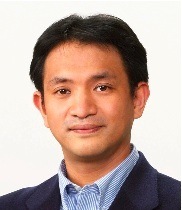 Dr Masaaki Mochimaru holds a Ph.D. (Engineering) from Keio University and is the Deputy Director, Digital Human Research Center, National Institute of Advanced Industrial Science and Technology, Japan. 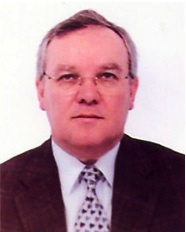 His research interests are: measurement technologies of human body shape, deformation and motion; footwear biomechanics (shoe design based on foot factors); digital human modeling for product assessment; and the application of ergonomics to product design (clothes, eyeglasses, gloves, computer mouse etc). Dr Mochimaru has received many awards for his work. 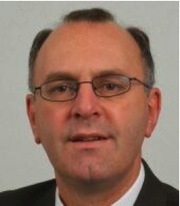 He is a member the IEEE Computer Society, SAE international, International Ergonomics Association and Japan Ergonomic Society, Japan Society of Biomechanism, The Society of Instruments and Control Engineers. Johan Molenbroek is Associate Professor Applied Ergonomics at Delft University of Technology in the Netherlands and Visiting Professor at the University of Bath in the United Kingdom. He has 28 years experience in research and teaching students industrial design engineering. Johan is also the current President of the Dutch Ergonomic Society. Johan has worked on anthropometric surveys from children to the elderly , and coordinated the Gerontechnology Educational Network in Europe and the Friendly Rest Room project. Currently he is the consultant on the Hong Kong project where data from 2000 Chinese 3D head scans are now being processed into design tools for the better fit of head wear. Johan has particular expertise in the use of anthropometry in the design of school furniture, products for the elderly and the handicapped - especially about toilets, and also in educational tools in engineering anthropometry. Regis Mollard is Professor in Ergonomics‚ Head of the Human Factors and Ergonomics Laboratory‚ "Ergonomics - Behaviour and Interactions" (EA4070)‚ and of the Laboratory of Applied Anthropology (sub-part of EA4070) at Paris 5 University. He holds a PhD in 3-D Surface Anthropometry and Human Modelling. His research areas are databases in ergonomics, 3-D morphological studies, posture and comfort in transport and military activities, fatigue, workload and stress in transport operations. 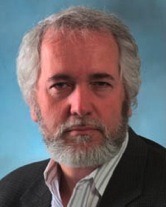 Regis was the Scientific Advisor for the French civilian 3-D Anthropometry survey for the apparel industry (2003 - 2006) and is responsible for the new French military anthropometry survey (2007). He has conducted consultancies in the application of ergonomics and anthropometrics forFELIN project (infantryman with integrated equipment and links) the French Military programme for the Army and in the analysis of accidents in aeronautics for the French Board for Accident Investigation. He is a Member of the European Committee for Aircrew Scheduling and Safety (ECASS), a Member of the French Society of Biomechanics, and a Member of Psychophysiology in Ergonomics (PIE), a technical committee of the International Ergonomics Association (IEA). Flavia Pastura has a B.Sc. in Industrial Design and a M.Sc. in Production Engineering/Ergonomics from Federal University of Rio de Janeiro/Brazil. She works on the Ergonomics Lab of the Industrial Design Division at National Institute of Technology/Brazil (http://www.int.gov.br). 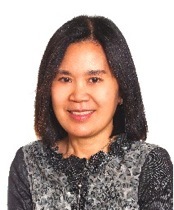 She has 18 years experience in product, workstation and work environment ergonomic analysis and design. Since 1988 she has been working on 1D anthropometric surveys of civilian and military population for design application. Flavia works in the development of methods and techniques of human work analysis and in the development of data collection and storage computerized systems. She worked on ERGOKIT development – the anthropometric and biomechanic database of the brazilian population that contains 4649 people measured on 169 dimensions. Currently she is working on two researches on 3D anthropometry for the brazilian oil and gas industry for work environment ergonomic design. Her research interests are: applied ergonomics and anthropometry; digital human modeling and simulation for work ergonomic analysis; digital human modeling for product assessment; application of ergonomics to product, workstation and work environment design. Mr. Ressler is currently performing research into information visualization for a variety of scientific applications at the National Institute of Standards and Technology (NIST) where he has been for nearly thirty years. Prior to NIST he was at a video game startup, and at Bell labs. During his over thirty year career he has always been involved in interactive computer graphics. 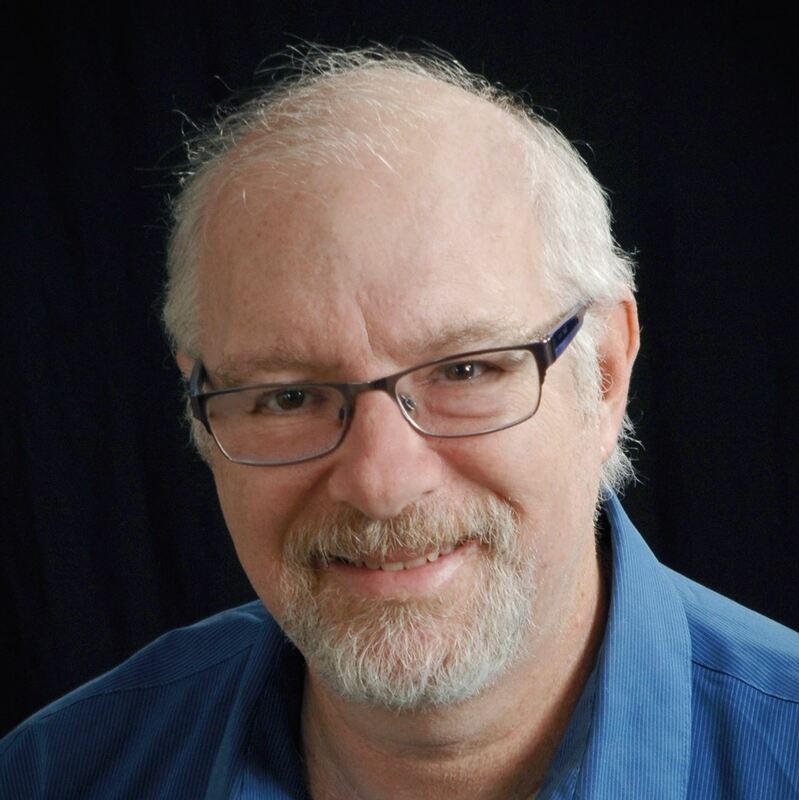 His research work appears frequently in a variety of scientific and technical venues, and his columns, editorials, and articles have chronicled Web3D standards and contributed to the field of Digital Human Modeling. Ressler's formal education is in the visual arts with an MFA degree from Rutgers when he produced computer animation in the stone ages of the mid 70s. Marc Rioux is a Principal Research Officer of the Institute for Information Technology at the National Research Council Canada. Research interests are in the development of 3D digitizing, modeling and display for machine vision, dimensional inspection and visual communication in the Visual Information Technology Group. The patented technologies developed at the NRC laboratory are applied in a variety of manufacturing industries, in space (In-flight Shuttle space tile inspection), for visual communications and entertainment (Special effects in movies like The Matrix, King Kong and many others). Recently, the technology has been used to digitize a high-resolution 3D color model of the Mona Lisa, in collaboration with the C2RMF and the Louvre. Marc was awarded a Bachelor’s degree in engineering physics in 1971 and a Master’s degree in physics in 1976, both from Laval University. He worked five years on CO2 laser development and applications and two years in infrared holography before joining the National Research Council in 1978. He holds 15 patents and has published more than 200 papers in the field of 3D digitizing and its application. The 3D technologies have been licensed to about 20 companies. Dr Kathleen Robinette is a pioneer and technology leader in human anthropometrics, whose research and developments have positively impacted the quality of life and work of countless people around the world. Her research has literally changed the way anthropometric data is utilized in equipment design, particularly with respect to the development of technical standards. Dr Robinette is responsible for the development of the world’s first three-dimensional (3D) anthropometry scanner in 1985, (a head scanner), and the world’s first 3D whole body scanner in 1993. As the director of the Air Force’s Computerized Anthropometric Research and Design (CARD) Laboratory, she developed a new initiative to collect 3D anthropometric data that will ultimately result in a better fit between people and their tools, systems, and environments. She planned, negotiated, and directed the first successful 3D whole body human measurement survey; CAESAR, Civilian American and European Surface Anthropometry Resource. In addition, she developed the fit-mapping method which is used to effectively size products during product development. This method was first implemented for the Navy Women’s uniform, improving the percentage accommodated without alterations to 99% without increasing the number of sizes! Prior to this only 25% of Navy women were able to get a fit without costly alterations. Kathleen is a Fellow of the Human Factors and Ergonomics Society and has received many honors and awards over the years including: Outstanding Scientist Award from the Affiliate Societies Council, the Arch T. Colwell Award from the Society of Automotive Engineers, the Women in Government Award from Good Housekeeping Magazine, and the Outstanding Alumnus Award from Wright State University. Dr. Chang Shu is a senior research scientist at the Institute for Information Technology, National Research Council of Canada (NRC). He is also an adjunct research professor at the School of Computer Science, Carleton University, Ottawa, Canada. His research has been focused on analyzing and processing of geometric information arising from the physical world. He leads the Digital Human Modeling Project at the NRC where the goal is to understand the human shape variation using 3D imaging data. He developed geometric and statistical methods for processing 3D anthropometric data for a variety of applications including product design, computer animation, and medical research. In 2009, he received the Federal Partners in Technology Transfer Award (FPTT). In 2003, he received NRC Outstanding Achievement Award. He was a program co-chair of the IEEE International Workshop on 3D Digital Imaging and Modeling (3DIM). 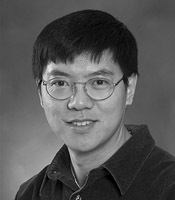 He was a guest editor for the Computer Vision and Image Understanding journal. Professor Young-Suk LEE (Lys) is Professor at the Chonnam National University, Department of Clothing and Science, Korea, has had over 20 years of research experience. She has been an executive member of the Ergonomics Society of Korea since 1985. Lys gained a PhD in clothing ergonomics OTSUMA University, Japan and has been engaged in research in labor-physiology at Marburg University, Germany. She is the International Standards Organization (ISO) Liaison representative for Korea. Lys has published over 100 articles and many books and reports in the field of anthropometric research and standardization. Since 1997 Lys has been engaged in many anthropometric projects and surveys for the Korean government. These include general anthropometric surveys, such as a survey of women’s body proportions, as well as surveys for application in a variety of industries including clothing, shoes, school furniture, headwear, products for the elderly, military uniforms, eyeglasses, and the development of manikins for the apparel industry. Daisy Veitch, winner of Australian Wool Corporations Young Designer of the Year Award and the Queen Elizabeth II Silver Jubilee Award for Young Australians has experience in all stages of garment production undefined from design to the finished product. Daisy is the Managing Director of SHARP Dummies that conducted the recent size survey of 1200 women across Australia. 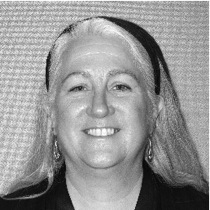 Daisy is on all the Standard Australia working committees to define measurements used for clothing sizes and is a member of ASTM D- 13 committee that defines apparel sizes in the US. Daisy can talk about body scanning, anthropometry, rapid prototyping and mannequin production, clothes fit and sizing. Ms. Sandra Alemany is the manager of the R&D line of anthropometrics at the Biomechanics Institute of Valencia (IBV). Her research activity includes traditional anthropometry, 3D body scanning technology, anthropometric surveys, fit mapping and advance data analysis for its application to product design mainly in the industrial sectors of clothing and footwear. She has coordinated several national sizing surveys, including a study of the Spanish female population with a sample size of 9.500 participants. She is member of the WEAR association, and international group of experts on 3D anthropometrics. She participates as expert on the ISO and CEN Standardization Committees of Cloth Sizing. Her current research activity is focussed in the application of advance 3D shape analysis methods to develop a novel approach to scan 3D body shapes from a small set of pictures. Based on this development she is currently boosting an innovative business initiative addressed to product customization combining 3D body scanning and 3D printing. 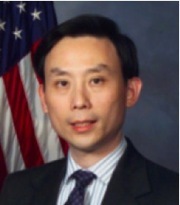 Huaining Cheng is a research computer scientist at the Human Effectiveness Directorate, United States Air Force Research Laboratory (AFRL). Prior to joining AFRL, he was a mechanical engineer at the General Dynamics Corporation. He holds a B.S. degree in Flight Dynamics from Beijing University of Aeronautics and Astronautics and two M.S. degrees in Mechanical Engineering and Computer Science from Wright State University. He has worked in the areas of database and web design and implementation, engineering software development, and computer modeling and simulation of biomechanics systems for injury and crash protection. 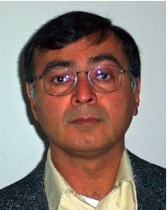 Afzal Godil is a project leader in the Information Technology Laboratory at National Institute of Standards and Technology (NIST) where he has been for over ten years. Prior to that he worked at the NASA Langley and Lewis Research Centers as a contractor. His main focus in research and development is in the area of 3D graphics/visualization, digital human modeling, computational methods, and pattern recognition. He was also a principle technical staff member in the initiation and development of 3D Face Recognition and 3D shape searching. Finally he is active in a variety of standards efforts, such as VRML/X3D, Medical extension of X3D, biometrics and the “Anthropometry--human body size/shape analysis" project. He has a MS in Aerospace and Mechanical Engineering from the University of Arizona. Carla Patricia Guimarães has a B.Sc. in Physical Education, a M.Sc. in Biomechanics and a D.Sc. in Production Engineering/Ergonomics from Federal University of Rio de Janeiro/Brazil. Dr Guimarães has been working as a researcher and a consultant in ergonomics, occupational biomechanics and anthropometric surveys at Instituto Nacional de Tecnologia/MCT/Brazil for 11 years and has many technical papers and articles published. She also works as an Associate Professor of Occupational Health and Ergonomics at Centro Universitario Plinio Leite in Rio de Janeiro and as a Visiting Professor in many pos-graduation courses. Her research interests are: 3D human body anthropometry; human motion capture; digital human modeling for product assessment; human modeling and simulation for work analysis and human movement analysis software development. Currently she is working on two researches on 3D anthropometry for the brazilian oil and gas industry for work environment ergonomic design. Dr. Eric Paquet is a Senior Research Officer at the Visual Information Technology Group of the National Research Council of Canada Institute for Information Technology (NRC-IIT) and an Adjunct Professor at the School of Information Technology and Engineering of the University of Ottawa. Eric has a B. Sc. in Physics and an M. Sc. in Nonlinear Quantum Optics. He received his Ph.D. in Computer Vision and Optical Information Processing from Laval University (Quebec City, Canada) in 1994. After finishing his Ph.D., he worked on 3D Optical Information Processing at the University of Valencia (Spain), on Laser Super-Resolution Microscopy at the Technion-Israel Institute of Technology (Haifa) and on 3D hand held scanners (London, England). Sarah is a Biomedical Engineer at the Auckland Bioengineering Institute where she leads their 3D body surface scanning work. She is also involved in musculoskeletal modelling and plans to integrate data from scanning with computational human models. Marion Wolff, has a doctorate in Cognitive Psychology, specialty Geometric Data Analysis, and holds a PhD in Ergonomics. She is Assistant Professor at the University Paris Descartes, Head of Master of Ergonomics. She worked for ten years in French Institute of high level Sport and she led the Laboratory of Ergonomics for two years. She is now attached to the Laboratory of Adaptation, Work and Individual. 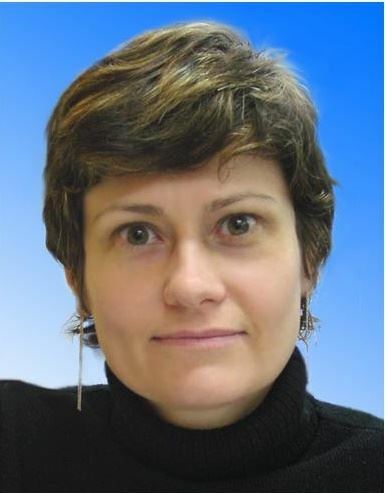 She is member of the international group WEAR (World Engineering Anthropometry Resource Association) and of the Technical Committee Human Factors at the AFIS (Association Française d’Ingénierie Système), and founding member of the PEPSS (Plateforme d’Evaluation, de prototypage et de tests d’uSages). She was during four years president of the international Congress “Ergo’IA”. Specialist of data analysis, her current research topics focus on modeling cognitive process and postural control in interaction with work situations. Maria Cristina Palmer L. Zamberlan heads up the Ergonomics Lab of the Industrial Design Division at National Institute of Technology/Brazil (http://www.int.gov.br). She has a B.Sc. in Industrial Design, a M.Sc. and a D.Sc. in Production Engineering/Ergonomics from Federal University of Rio de Janeiro/Brazil. Since the end of 70´s she has been working on anthropometric surveys of civilian and military population for design application. She worked on ERGOKIT development – the anthropometric and biomechanic database of the brazilian population that contains 4649 people measured. Since the beginning of 80´s she has worked on product, workstation and work environment ergonomic analysis and design. Since the beginning of the 90´s, she has been working on control room ergonomic design and human reliability for oil, gas and energy industries. Currently she coordinates two researches on 3D anthropometry for the brazilian oil and gas industry for work environment ergonomic design. Her research interests are: applied ergonomics and anthropometry; digital human modeling and simulation for work ergonomic analysis; application of ergonomics to product, workstation and work environment design; control room design and human reliability.